The Pebble deposit is located on state land in the Bristol Bay watershed, about 17 miles northwest of the village of Iliamna. Other nearby communities are Newhalen and Nondalton. The prospect is reportedly one of the largest North American discoveries of copper, molybdenum and gold. According to developer Pebble Limited Partnership (owned by Canadian company Northern Dynasty Minerals), the deposit area contains 80.6 billion pounds of copper, 107.4 million ounces of gold and 5.6 billion pounds of molybdenum. It is worth an estimated $400 billion. The deposit was originally located by Cominco Alaska Exploration, which began exploring the area in 1986. It wasn’t extensively explored until NDM optioned it in 2001. Early efforts focused on a deposit area known as Pebble West. In 2005, NDM discovered Pebble East, a higher concentrated deposit. Mineral deposits at the proposed Pebble mine site are valued in the hundreds of billions of dollars. Mine proponents cite an economic benefit for the local, state and national economy. A preliminary assessment prepared for NDM in 2011 studied the economic benefit of operating an open pit mine at Pebble for 25, 45 and 78 years. Under the 45-year reference case, economists predicted that initial capital invested in the mine would be paid back within just 3.2 years, and that only 32 percent of the mine’s resources would be extracted in the first 45 years. First Quantum Minerals Ltd. announced it had signed a “framework agreement” with Northern Dynasty Minerals in December 2017, providing for $150 million in funding for permitting over a four year term, with an option to buy a 50% stake in the Pebble Limited Partnership (PLP) after that. The agreement was never finalized, leaving NDM/PLP still looking for a partner/partners. 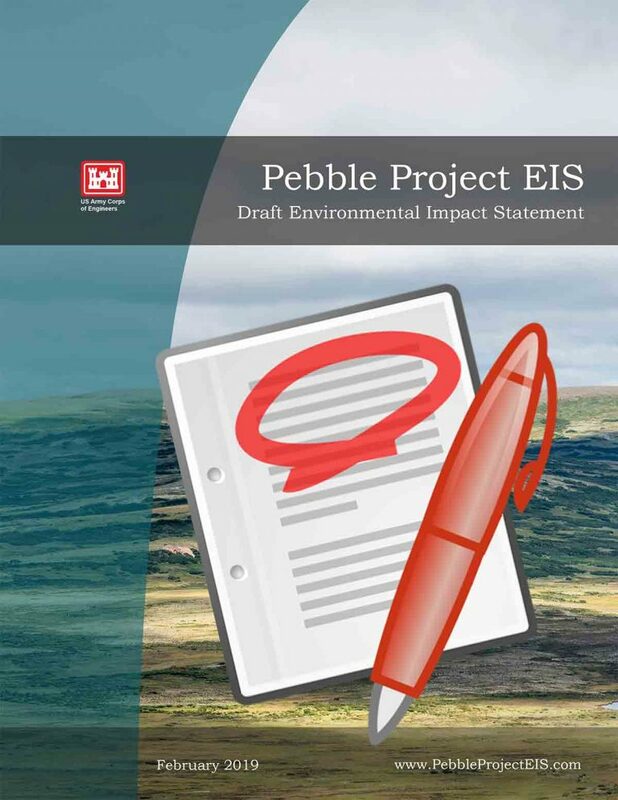 Pebble Limited Partnership announced it had submitted federal and state permit applications on December 22, 2017. It is currently in the federal permitting process.